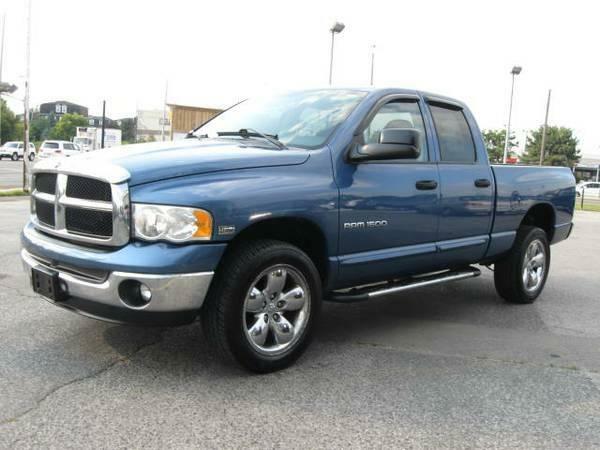 Beautiful Blue on Grey Interior 2003 Dodge Ram 1500 Hemi Quad Cab 4x4 Pick-Up. Automatic Transmission with 297,362 Original Km's on its Powerful 5.7L HEMI Engine, Loaded with features such as 4x4, 6 Passenger Seating, 4 Doors, Power Windows, Locks and Mirrors, Cruise Control, Ice Cold AC, Cd Player, Keyless Entry with Remote, Side Steps, Chrome Wheels plus so much more. Runs Great and Looks Good Inside and Outside.